Being that this is a food blog and also being that Target is the greatest store in the history of stores, I decided I just had to link up with Tara for Target Tuesdays so I can share what I find to be essential kitchen items for anyone who would like to cook a good meal. My mom bought these pots & pans for me as part of my birthday present and my cooking experiences haven't been the same since. I had never cooked with stainless steel before so there is a slight adjustment period (everything cooks faster! 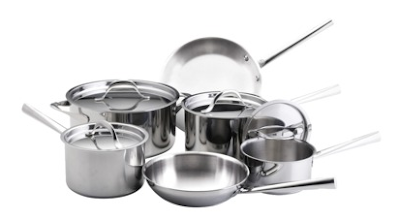 ), but now I don't even use my old pots and pans, ever. 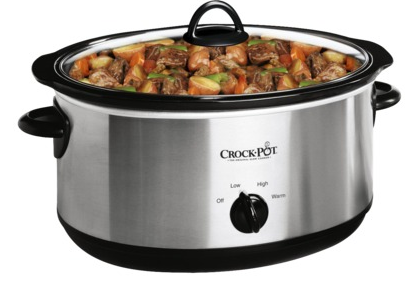 The Crock-Pot brand knew what it was doing when it made slow cookers. I mean, honestly, sometimes nothing is better than just being able to throw a bunch of ingredients into a pot and do nothing else until you're ready to serve and eat. Admittedly, I only have 2 good knives, but those 2 knives basically save my life on a daily basis. Make your food chopping precise and efficient. I breeze through the cutting of vegetables, fruits, etc etc etc with the knives I have. 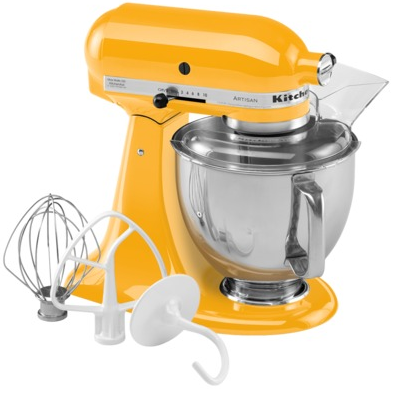 While stand mixers, in general, are out of my price range, I have had my eye on this yellow one for years. With a $300+ price tag, it's too steep, even for me (impulse shopper and lover of credit cards here! ), but it really is essential for baking. The reason I don't generate a millionty Christmas cookies every year? No stand mixer. The reason I bake stupid pound cake instead? No stand mixer. The reason my right arm gets a muscle cramp during baking? I have to use the stupid hand mixer in 3 different bowls to get my baking done. Read: no stand mixer. I'm not kidding when I say that when I come into an extra $300, this is first on my list of items to buy. Other items on the list: nice dishes, 2 sets of measuring spoons and cups (one for wet ingredients and one for dry), a wine bottle opener, and a food processor. 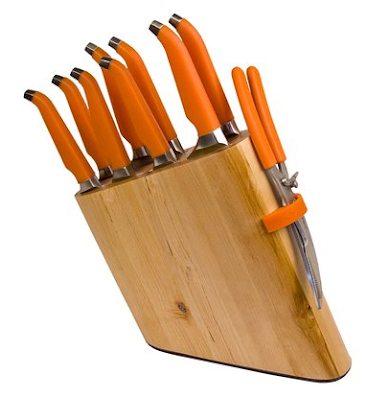 Now tell me- what are your essential kitchen items? I loooove my stand mixer. It's a general dark blue, but if I could get away with it I'd love a bright color like that one! I swear my Kitchen Aid stand mixer was the best purchase I ever made. I use it for so much, and it motivates me to cook more at home! I have that crock pot! Loves it! I ashamed to admit how many times I have used my stand mixer vs. how long I have had it. Now that I will be staying home more, I plan to cook much much more! for the next time I make broth.